C&D Solicitors were personally recommended to us by the Real estate agent Richard and this recommendation turned out to be one of the best recommendations we received. 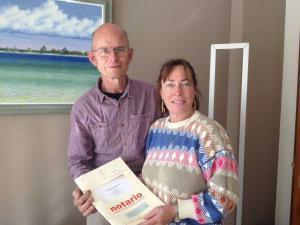 During the purchase of the apartment, we were assisted many times by the professional staff of the office. For every inquiry or question to C&D Solicitors office, we received a professional answer. When you are far away it is very important to have someone that can handle with all the process for you, so kind, so nice, with an open heart and intention to help- Dear Felicia, thank you very much for all the emails with all the details. Felicia, Francisco and Guillermo - thank you so much. When we, in October 2017, wanted to buy our house in Archez, we were referred by our estate agent in Competa to C&D Solicitors. We have contacted Ariane and this went all smoothly. 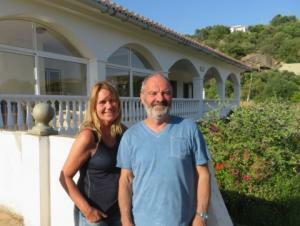 A few days after our verbal agreement we had a meeting in their office in Torrox with Ariane and Francisco. We received a very clear and specified offer. Francisco already had prepared some back-ground information and we went back to Holland with a good feeling. During the process some points of attention submerged. We therefor had regular and pleasant contact with Ariane. It indeed is very nice to be email to write and speak in your own language. In this way we were kept up to date of all progress. Half April we had the completion. Not all has been finished yet, but Francisco is looking after our interests and we have full confidence that the process will be finished correctly. In the meanwhile also our Spanish last wills have been signed. Ariane & Francisco, thank you for everything!! We would like to recommend C&D to everybody. It´s very comforting to receive good and honest advice when you buy a foreign house. Because this is already exiting enough!! As a result of a change of ownership in Salobreña and it´s registration, C&D has -also through the effort of Ariane van Wijk and her Dutch translations- solved a case that was very complicated to finish correctly. After an administrative waiting time and approval of it due to a measurement of the boundaries and house Mr. Francisco Delgado Montilla has solved this case correctly and has gained our full trust. Thank you again! C&D Solicitors were personally recommended to us. 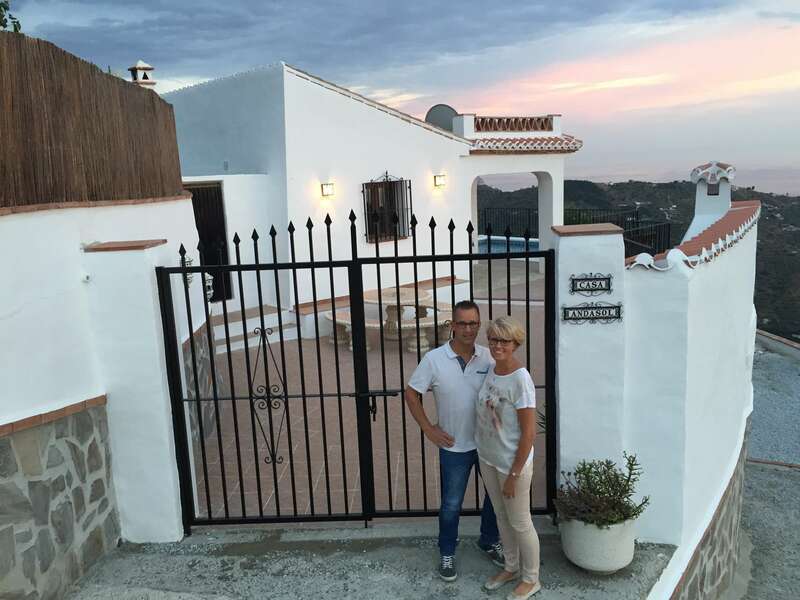 Their multi-lingual approach was an aspect that immediately appealed to us as well as their experience in supporting other Dutch nationals to purchase property in La Axarquia. 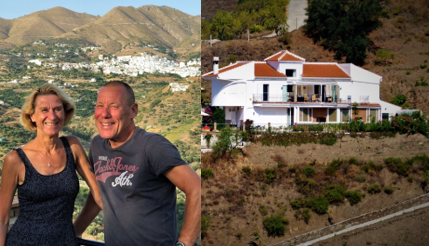 We are very thankful to C&D Solicitors for the services they provided during the purchase of our dream casa in the La Axarquia countryside. They helped with everything from all of the legal documentation, investigations regarding the property, liaison with the local town hall, securing NIE numbers and opening bank accounts. In particular Gustavo Calero was incredibly thorough, patient, determined, responsive and supportive during the entire process. He was proactive in proposing practical solutions for challenges we encountered and relentless in ensuring we were successful. 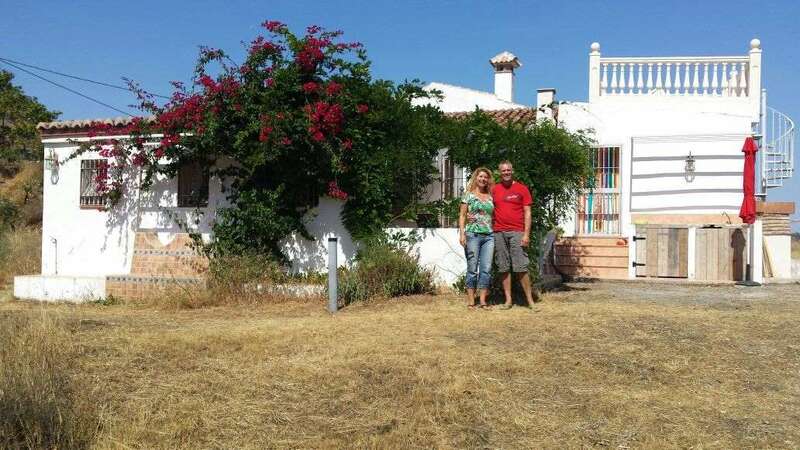 Purchasing property in Spain can be incredibly complex (especially compared to other European countries) particularly in the countryside. C&D Solicitors are experts in supporting non-residents to purchase property in Andalucia and we strongly recommend their services. "We chose C&D Solicitors based on the good comments in a Facebook-forum, their knowledge of legal issues in relation to houses in the countryside ánd the very good & clear offer. We have not regreted our choice for a minute: the offer in the end turned out to be exact, the contact was personal and our issues were answered quickly. Besides of this Gustavo found out that our first option of purchase had a problem with the watersuppy / waterwell. Because of this information we decided to not go through with this purchase, for which we are very thankfull to C&D because in the end we found an even better house. Thanks to the legal investigation of this law firm we now have peace of mind that we won´t have any problems or surprises with the DAFO application in near future. Shortly: we recommend everybody to contract C&D Solicitors!" 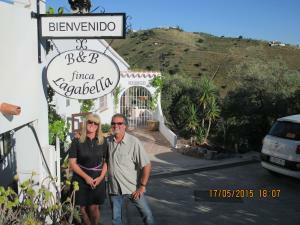 For anyone that´s interested, this is our Facebook-blog: https://www.facebook.com/SuenoAndaluz.LaHiguera/. In the beginning of our purchase of a rustic property in Torrox we asked C&D Solicitors for an offer for the legal investigation. However, for several reasons we decided that these costs probably wouldn´t be really necessary. The real estate agent that had Power of Attorney from the vendor arranged everything quickly for the sale and we paid the money for the procedure. At a certain point, however, we started to feel that things weren´t right and the agent kept us on a leash when we asked for the correct paperwork. At this point we contacted C&D again and Gustavo started the legal search where he found out that the property wasn´t correctly inscribed at all in the Land Book Registry and the Cadastre. Therefore the title deeds could not be signed! As we already had paid the money to the agent, we didn´t have any leverage anymore, although the costs normally would have been for the account of the seller. It took us quite some extra money, effort and sleepless nights to finally get the house inscribed correctly in our names. Looking back we feel we wouldn´t have had these costs and problems if we would have hired Gustavo´s services in the first place. He really did an excellent job according to the circumstances. That is why we recommend to everyone that thinks of buying a property in Andalucia: don´t try to save on the costs of an independent lawyer that can represent you in your negotiations. The Spanish purchase process can be extremely tricky and if you have problems afterwards like we did, the costs definitively will be way higher! Why we chose C&D Solicitors? Your kindness and easy accessibility have been really great. You are truly interested, really nice. In this you distinguish yourselves from other law firms that we have hired. Also you have a good cost-quality ratio; you are our third lawyer in Spain so we can compare well. 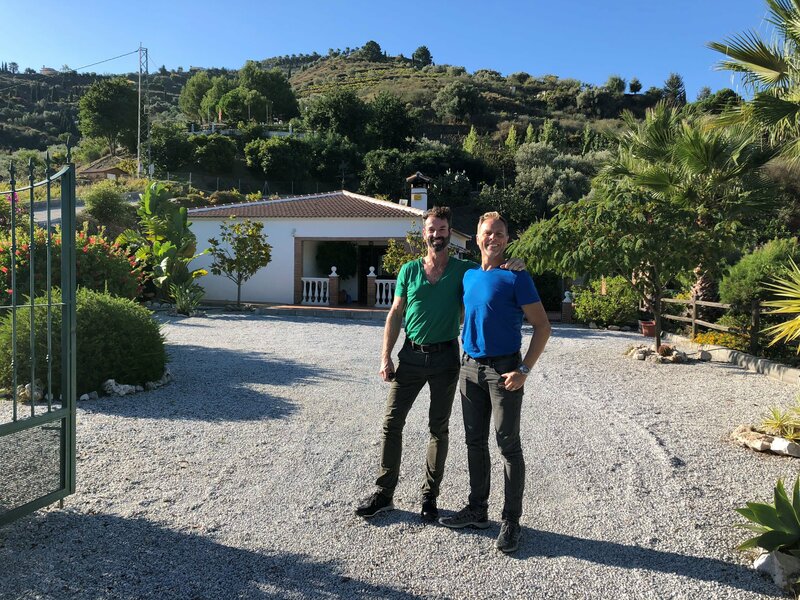 The final report from Francisco was very professional with understandable explanation and from Ariane we always received answers quickly, both through phone and email. I can just really recommend you to anyone! 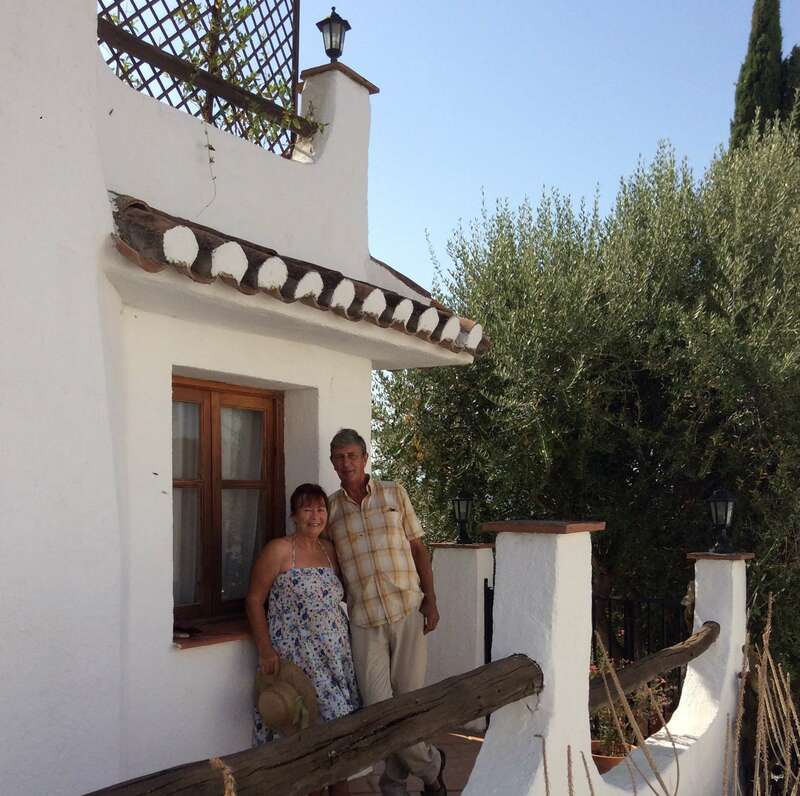 Ariane and Francisco, many thanks for guiding us through the purchase process of our house in Fuente Amarga! 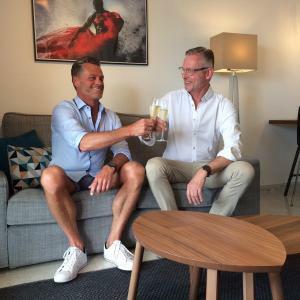 After our decision to buy our beautiful apartment in Rincon de la Victoria (Malaga), we through the internet found C&D Solicitors / Abogados in Torrox-Costa, a law firm with Dutch and Swedish staff. Gustavo and Ariane have assisted us through the whole purchase process with advice and action, always available, correct and with a lot of professional experience. They were pro-active and provided good information plus advice. On top of it all communication went in a pleasant atmosphere. 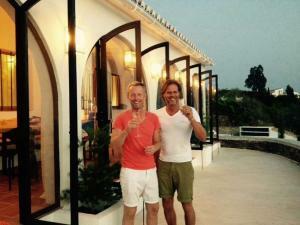 We are exceptionally satisfied about the way in which Gustavo and Ariane helped us through the whole procedure. Also after completion this firm has provided us with useful suggestions and tips. Even now if we have questions, Ariane and Gustavo still welcome us with open arms. 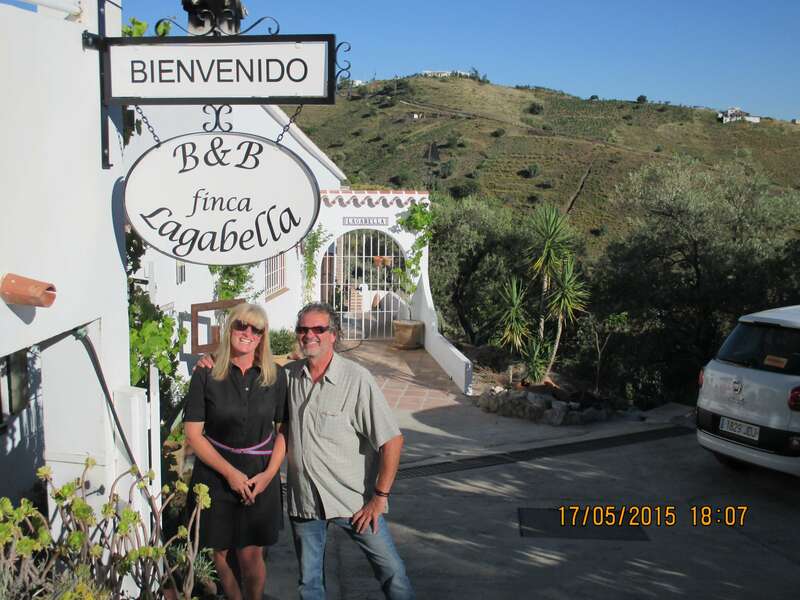 So resuming; we definitely can recommend law firm C&D Solicitors Abogados in Torrox-Costa to anyone with plans of buying a house or apartment in Andalusia. I highly recommend this company to pave a smooth pathway in your purchase of property in Spain. 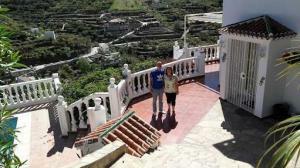 I would like to thank everyone at C&D Solicitors for their help in sorting out the purchase of my Finca in Alcaucin. Thank you Francisco for your patience in sorting out a few problems I had and thank you Natalie for the extra info on the area and for arranging my bills to be paid through the bank account that you set up for me. See you all soon in Spain! 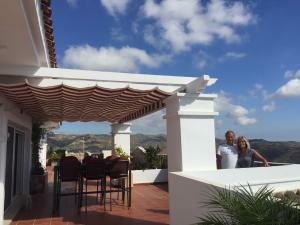 The top agency for the purchase of your dream home in Andalusia. Everything went problem free and was arranged well by them. Also thanks to Ariane. To answer all my difficult questions kindly and well. I would not hesitate to work with them again. We had decided to retire to Torrox pueblo and found the ideal house just inside the campo. Having no recommendations and needing English speaking solicitors, we took ‘pot luck’ with C&D based on their easy to understand and comprehensive web site. Francisco and Ariane were excellent and did everything for us while we were still in the UK - from getting NIEs and opening a bank account to completing the purchase and arranging our wills with no hiccups. They answered queries quickly and in detail. Also, their upfront estimate of total costs was very accurate. We have no hesitation whatsoever in recommending C&D Solicitors. Gustavo has had to sort some lengthy and complicated matters for us which have been dealt with using patience and care. We would recommend CALERO Y DELGADO ASOCIADOS ABOGADOS SLP to anyone contemplating a property purchase in the Malaga region. 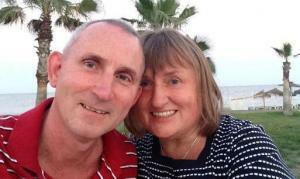 C &D were recommended to us and we have received an excellent service from them. A complicated purchase was made much easier with the professional and personal service we received from Gustavo Calero. Through all aspects of the purchase we were kept informed and the process was completely transparent, ensuring that we fully understood each step. Yes, we would definitely use C&D again and have no hesitation in recommending them. From beginning to end buying our house in La Vinuela was so easy. C&D Solicitors carried out the whole process absolutely flawlessly. Every question was answered immediately The best service we have experienced from a solicitor. 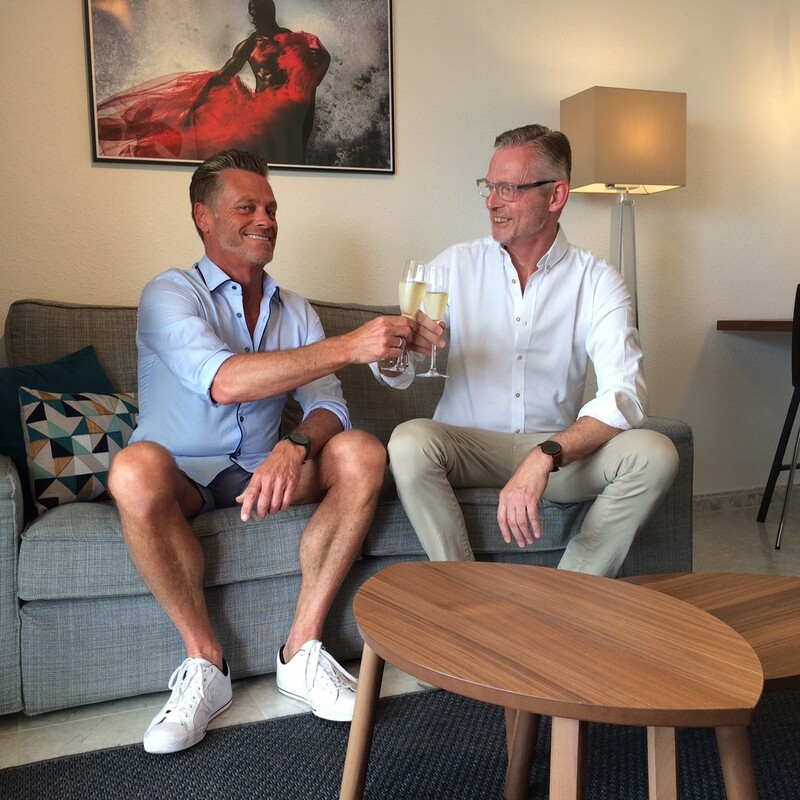 Since a few years we´ve been looking for a place under the sun for holidays and also to later retire. 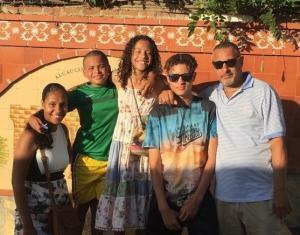 After several trips to Andalucia Spain in 2014 it became clear that this was the perfect region for us. 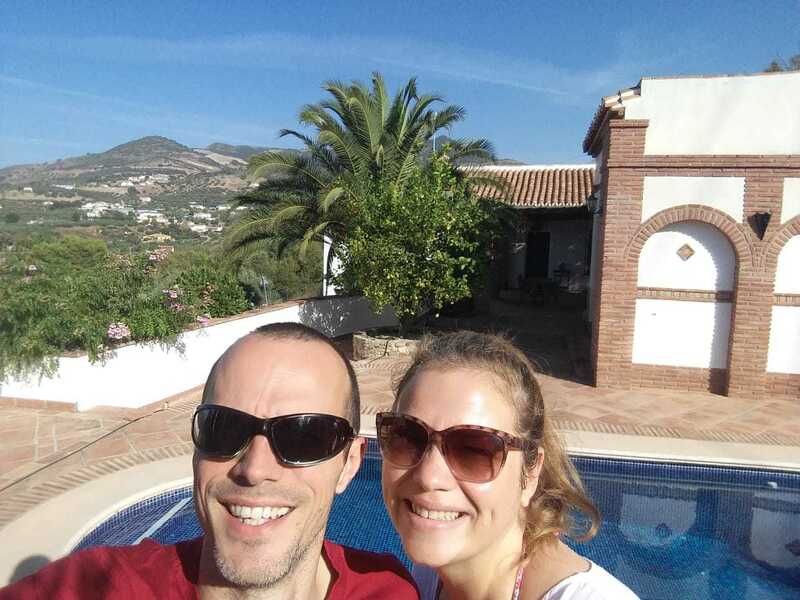 Finally in 2015 we made the decision to buy an apartment in Arroyo de la Miel. We chose C&D Solicitors as our lawyers based on the positive references on the internet. Francisco and Ariane did an excellent job. We always received quick response on all our questions. All proceedings they carried out perfectly for us. 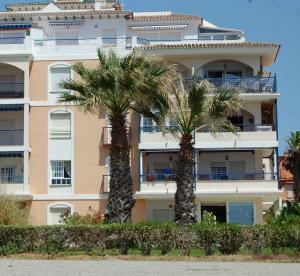 Everybody that wants to buy a (holiday) home in Spain we recommend to go to C&D Solicitors. "Since spring 2014 we were seriously looking for our dream house in Andalucia. Right away we got in contact with C&D Solicitors and their help has been of great value. Always they were at our disposal. They gave us lots of useful information and have guided us through the whole process fantastically. The contact with Ariane was very professional and pleasant. By now we finished the purchase process of a beautiful house in the countryside of Torrox village (campo). We want to thank the whole team of C&D Solicitors for their nice way of cooperation." 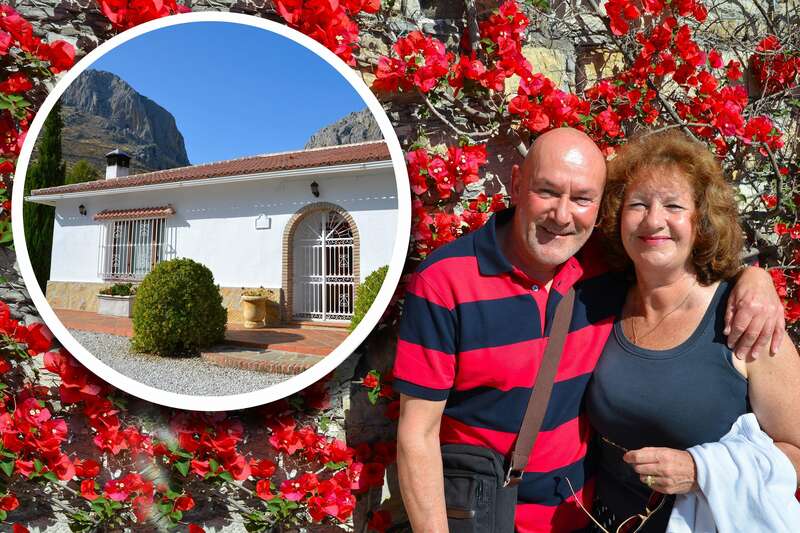 "If you´re looking for a correct and perfect completion for your sale of a holiday home in Andalusia, I can only recommend one address: C&D Solicitors. From A to Z your file is being handled with the greatest care. A perfect follow-up and a confidence that you rarely can find nowadays. With C&D Solicitors your dream becomes reality. And I really means this!!!" "We have recently completed the purchase of a beautiful Spanish villa in Axarquia with great towns like Torre del Mar, Nerja, Frigiliana, Competa and of course Sayalonga. C&D Solicitors carried out the property conveyance and all associated legal matters on our behalf, and we could not be more delighted with the service given. We found Francisco and Ariane to be professional and courteous at all times giving very good quality advice in English. Even when we encountered unexpected delays we were kept fully briefed at all times and we felt that C&D Solicitors genuinely had our best interests at heart. 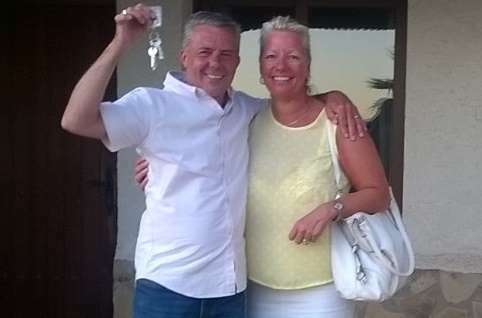 As new buyers in the Spanish market we were recommended to use C&D Solicitors and we would not hesitate in also recommending them in the future." "We would like to say that: Every person working at C&D demonstrated excellent customer service. We were kept up to date at every stage of the process which resulted in a smooth and stress free completion of buying our dream home. We have already recommended C&D to friends. An added bonus is their vast understanding of the English language." 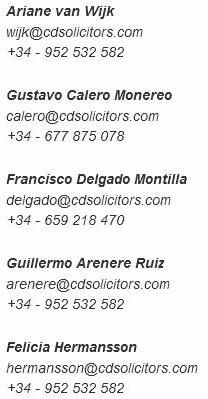 "We have recently used Gustavo Calero Monereo at C&D Solicitors in Torrox Costa 952532528 to obtain the paper work for our OLD campo house. He speaks English, was very competent and he kept us well informed. It was a complicated situation which took 18 months and the cost was reasonable. There was even some money refunded from the original quote, when the work was finished. We would thoroughly recommend this law firm." 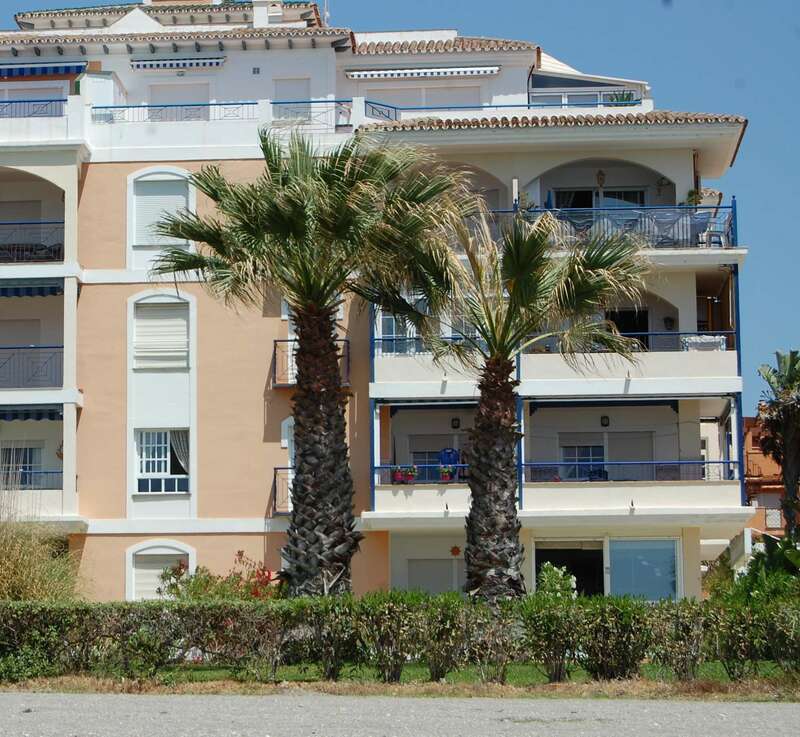 Although I have bought and sold property in Spain over the years, I never felt truly comfortable with the solicitors I used, until I was lucky enough to discover CD Solicitors in Torrox Costa when I wished to buy an apartment in Nerja. From our first meeting I felt fully confident in the way everything was explained and the transaction was handled and I was kept fully informed by them of the progress at all times. It was all done within weeks without a single problem, and handled so very professionally and efficiently, that I could not praise their service more. I will definitely use this company for any of my future legal work and can highly recommend them, although by complete coincidence I now find out that so many friends here are their clients and too are very happy with their representation. A fantastic company! "During the preparation of the purchase of a house in Spain it quickly became clear that it´s important to use a lawyer for this. We ended up at C&D Solicitors because communication is an important issue in the legal process in a foreign country and the lawyers speak English plus Ariane Dutch. The whole process -from the cost estimation untill the after-sales- was clear and we were assisted in a pleasant way. It´s very handy that they take care of transferring the service contracts of electricity and water." “Francisco and his company have acted on our behalf for two years in which time he has very efficiently dealt with our affairs. We have immediate answers, instant action in a nice personal manner covering planning for tax matters to mains electricity connections and even intervening in traffic problems regarding speeding! We would recommend C&D Solicitors without hesitation”. 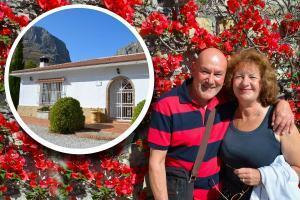 ”I have purchased a little house in Viñuela. 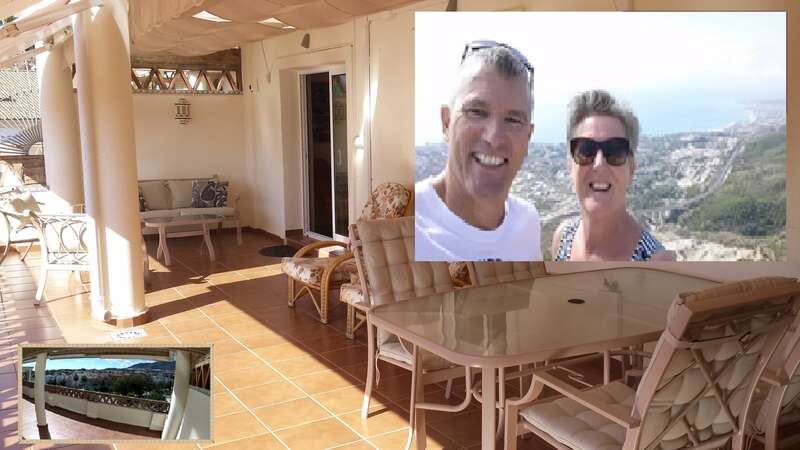 During the process I had many questions as this is the first time I have purchased a property abroad and nothing was too much trouble, quick and full explanatory responses to all my queries, and information at each stage of the process. 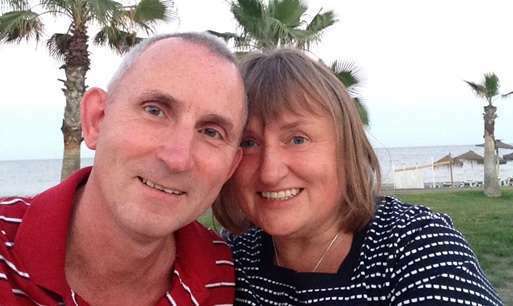 I only wish we had the same sort of service in UK as more often than not it is a nightmare!May I say thank you to C & D Solicitors for their hard work and efficiency throughout the purchasing process I would definitely recommend them to anyone wishing to buy property in Spain”. “I am delighted to be able to congratulate your team on the excellent service that we received on our property sale. The sale included a mortgage redemption and attendance to transferring the utility liabilities to the new owner.Throughout the transaction, which incidentally was very quick, you provided speedy answers to all of our enquiries. This contrasted in the extreme with the tardy service that we received from our previous Spanish solicitor engaged on our purchase.Well done, it was very encouraging to receive a prompt, friendly and professional service”. “Picking a solicitor to represent and guide us through the process of property purchase was an important decision. After all, to be effective and successful, this absolute stranger required nearly unlimited “Power of Attorney” to complete the purchase process and mortgage application in our absence. So, whilst searching for a property in the Axarquia area, we enquired with multiple estate agents after a reliable solicitor. The responses we received were varied, from “do not waste your money, use a Gestor instead” to “a good solicitor is the best investment you can make”. 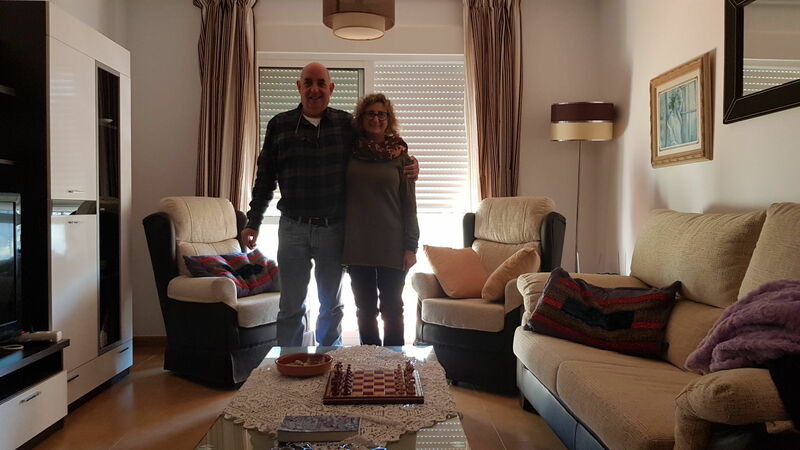 We were given a range names, but the recommendation that popped up over and over again was that of this energetic and reliable partnership in Torrox Costa, i.e. “C & D Solicitors”. Eventually, we decided to arrange an appointment with this young firm, signed-up straight away, and have not regretted it since. 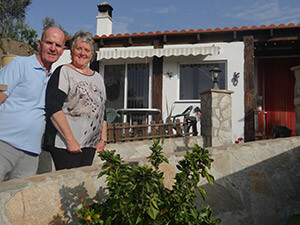 C & D have guided us successful through the pitfalls of buying a house in Spain, whilst doing so have advised us on two occasions against the purchase (due to legality issues), and have finally completed on our behalf in December 2010. During the past year both partners have acted efficiently, reliably and professionally, investing significant energy, initiative and time to ensure the completion could go ahead despite last minute set-backs. We are absolutely convinced we made the correct decision in selecting C & D as our legal representatives. It was money well spent and we unreservedly recommend their services. As measure of our happiness with the support received and the trust in Gustavo Calero and Francisco Delgado, we have just decided to extend the “Powers of Attorney” to ensure they can continue to act on our behalf for years to come”.